105 years ago, in the hill station of Darjeeling, West Bengal, Vivien Leigh came into the world. She’s been gone for over half a century but she continues to inspire people of all ages, from all walks of life. Many are drawn to her work, to her gripping life story, to her valiant battle with mental illness. Through cinematic revivals of classics like Gone With the Wind, and in large part thanks to the Internet, her memory lives on. I’ve posted many tributes to Vivien here in the past. This year, in honour of her birthday, I’d like to share some previously unpublished photographs from the Kendra Bean Collection. Four are from Vivien’s personal snapshot albums. The other two are transparencies taken on the set of The Roman Spring of Mrs. Stone. I hope you enjoy! How are you remembering Vivien today? 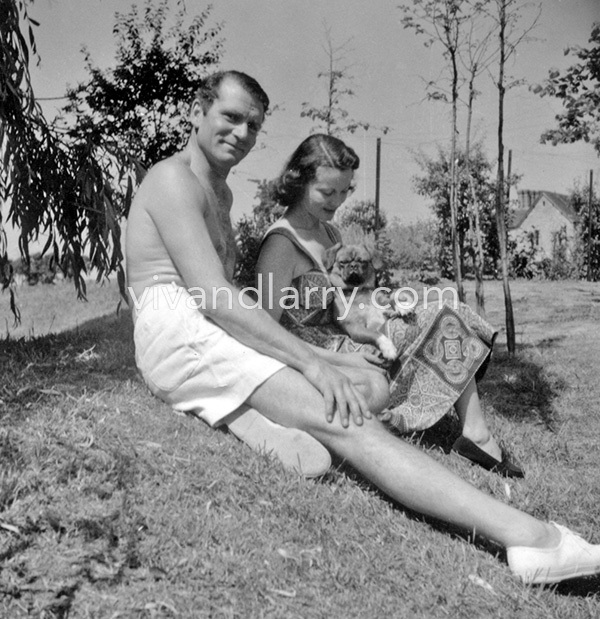 Vivien Leigh, Laurence Olivier, and a pekingese at Notley Abbey. 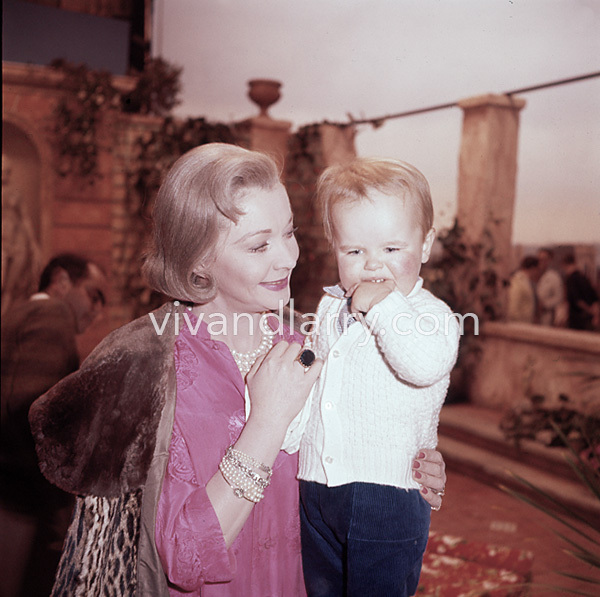 Vivien Leigh and grandson Neville Farrington on the set of The Roman Spring of Mrs Stone. Elstree Studios, 1960. 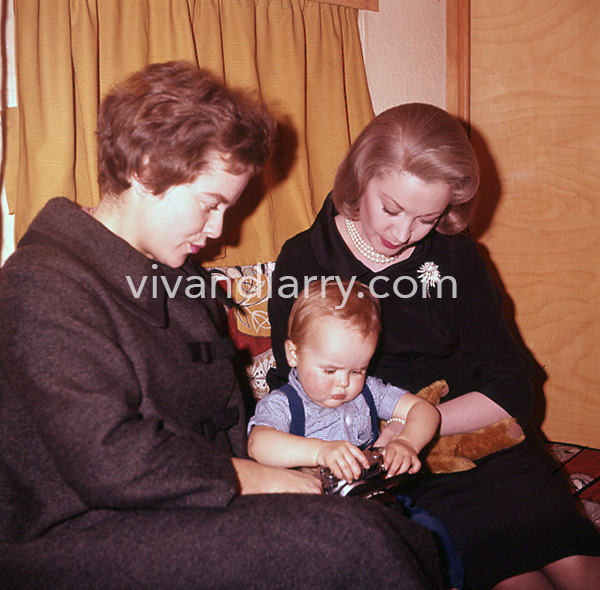 Vivien Leigh with her daughter Suzanne and grandson Neville Farrington on the set of The Roman Spring of Mrs. Stone. Elstree Studios, 1960. Vivien Leigh and New Boy at Notley Abbey, 1947. 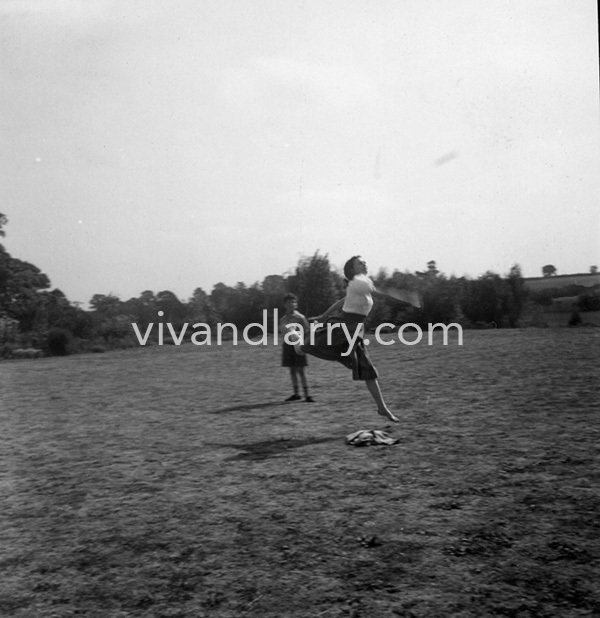 Vivien Leigh fields a ball during a cricket match on the lawn at Notley Abbey, 1947. Tarquin Olivier watches. Vivien Leigh at Notley Abbey, ca. 1958. If you enjoy the content at vivandlarry.com, please consider becoming a Viv and Larry Patron today. Click the banner below to find out more. I’m so glad you like them, Audrey! Great photographs, thanks for sharing. I’m glad you like them, and hopefully you’ll enjoy your new book too! We’re all in your debt as always, Kendra. Thank you. Thanks for your comment, Spencer. I’m glad you enjoy my posts! These are lovely. 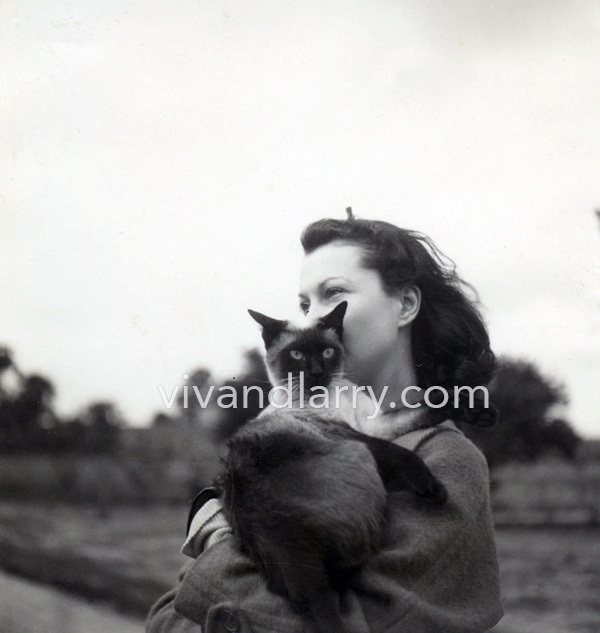 I especially like photos of Vivien with her cats. These are truly special photos. I think my favorite would have to be the one with Tarquin. Just a great moment captured. 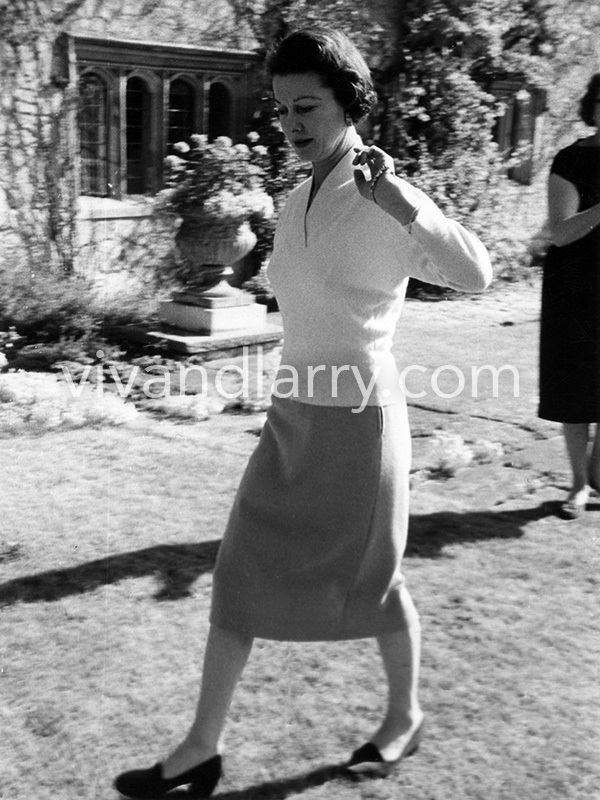 Vivien looks naturally beautiful as always – just never think of her as being athletic! Thank you, Karen. I love that photo as well. It’s great to see Vivien relaxed and just *being* amongst her friends and loved ones. Notley was a real idyll. I’m so glad you like the photos, Rhonda! I also love the one with her and tarquin. It’s great to see her being active!